Come experience the joys of horseback riding at Horse Camp. Our riding programs are progressively structured to provide campers with a fun experience of interacting with gentle horses. For all horse programs, we recommend that participants wear heeled leather shoes or boots. Long pants and protective helmets are required of all participants. Helmets will be provided by the camp. 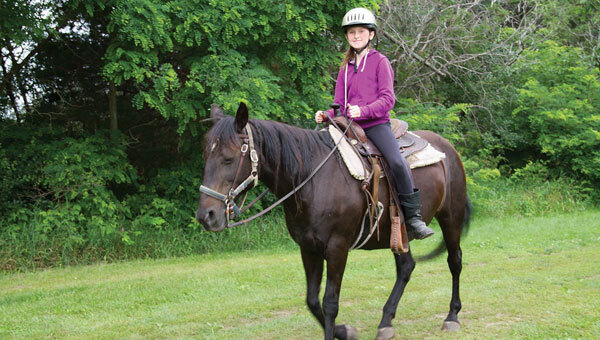 Our horse camp is a recreational riding program and is not intended to replace formal riding lessons. Alternative programs may be planned if weather conditions such as extreme heat, rain, or wind jeopardize the safety of campers or horses. Horse camp participants will be transported by bus from Day Camp Streefland to Day Camp Kici Yapi each day.